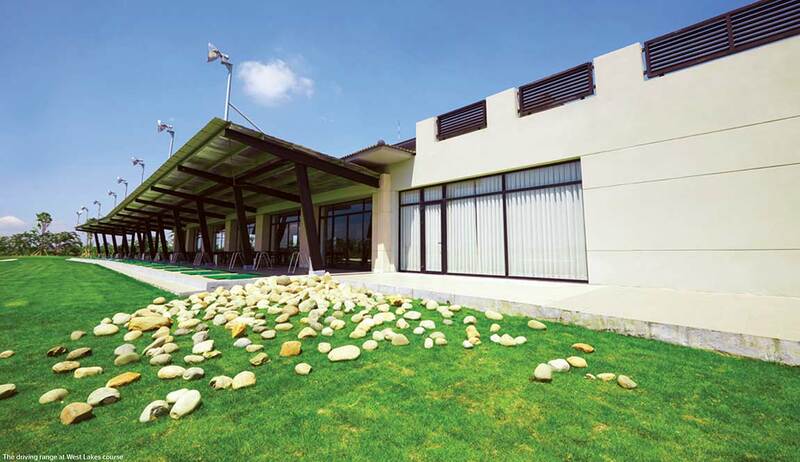 West lakes golf & villas which is the first 18-hole golf course in the west of ho chi minh city, has just opened its doors to the golfing community. 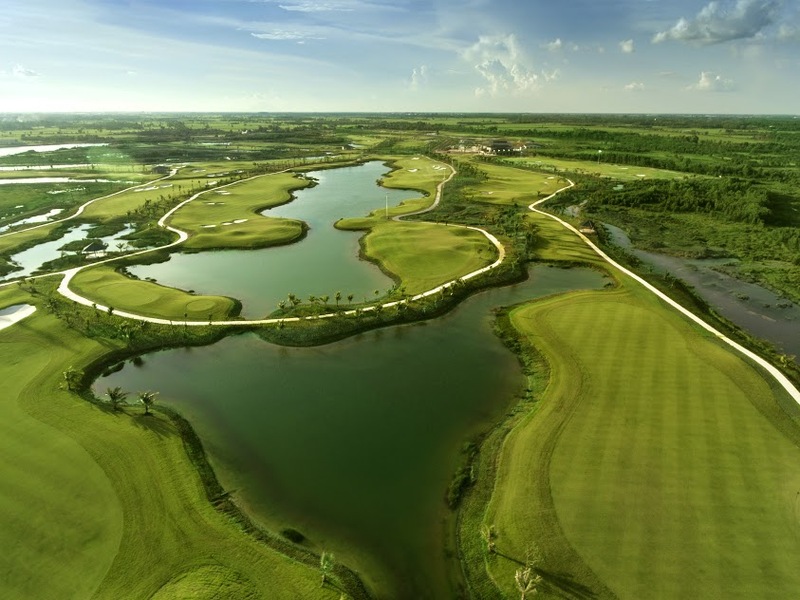 West Lakes Golf & Villas is about 60 kilometers from the city center. We drove along National Route 22, across the flyover of Cu Chi, and then turned left into a small road. Leaving behind busy streets, our car went through a peaceful village. 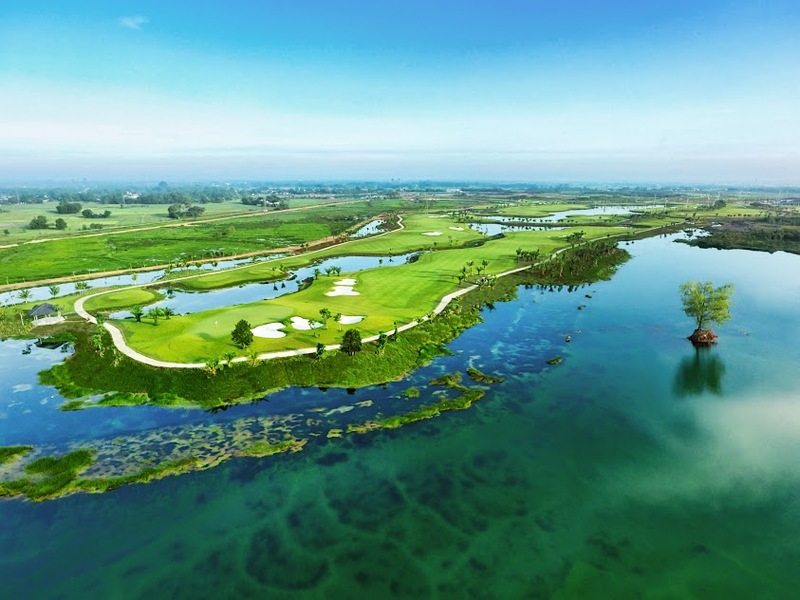 After more than an hour and a half driving, a golf course appeared in front of our eyes, in Duc Hoa district of Long An province, adjacent to Cu Chi district, Ho Chi Minh City. 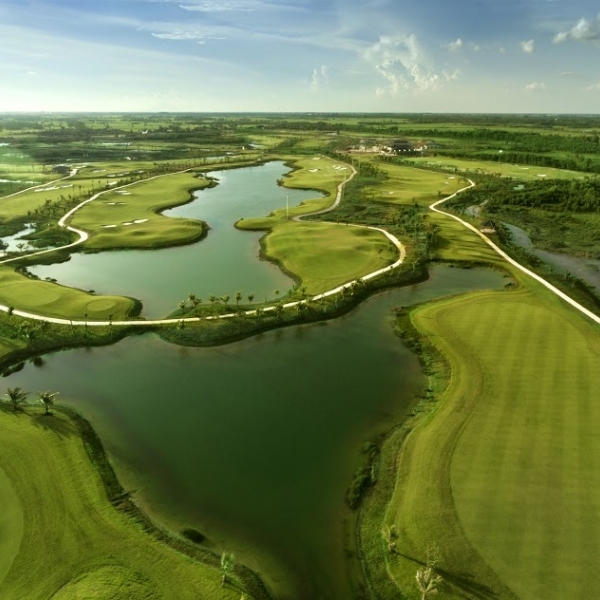 Designed by Thomson Perrett Company with over 250 projects worldwide in its portfolio, West Lakes is an 18-hole, par 72 golf course stretching more than 7,100 yards from the back tee. Overall, it looks like the course floats up on a swamp. 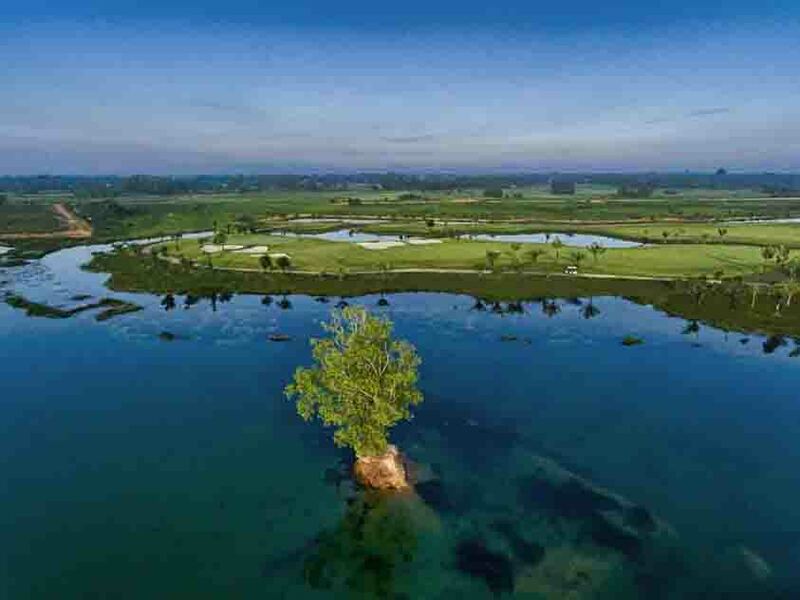 As its name suggests, every hole has water hazards. 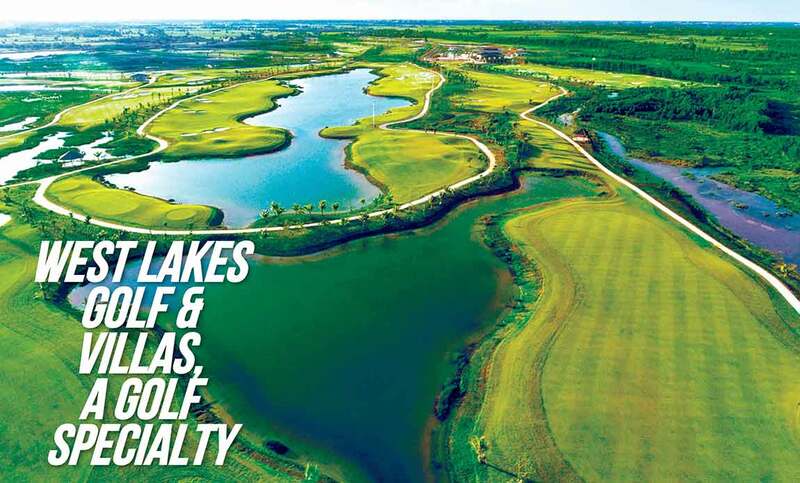 In other words, water hazards are signature features at the course. At West Lakes fairways sometime run along cajeput forests, sometime crossed by lakes and creeks. 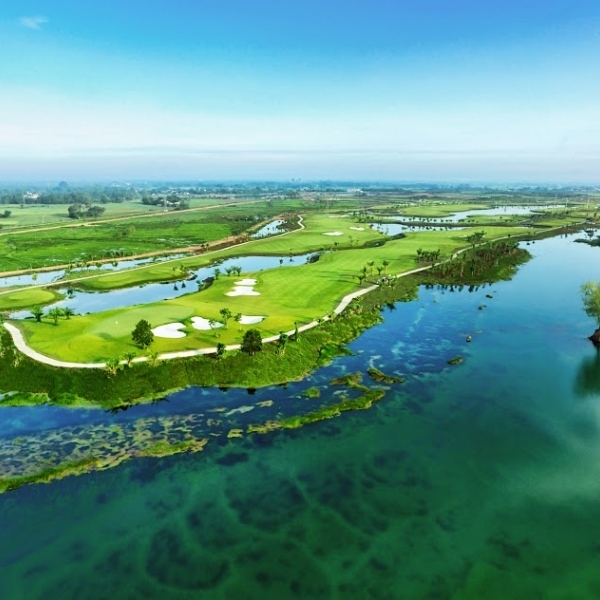 From the tee boxes, along the fairways or when putting the ball into the cup, golfers enjoy the natural countryside scene.Their eyes are softened by green grass and native flowers and then suddenly flared up by yellow-spotted grass. At first steps on the fairway, one of our playing partners commented: “The fairway of this muddy-style course is thought to be soft, but it turns out to be hard”. Fairways at West Lakes are paved with Zeon Zoysia grass. This is one of a few courses using the turf that are positively impacting the course design and construction industry. Zeon Zoysia grass in West Lakes grows inward at most fairways. That makes it difficult for golfers at the impact when striking the ball. Relatively wide fairways offer many landing areas, but it has so many strategic placed bunkers. Meanwhile, the shapes of many water hazards deceive players’ eyes. If golfers are not conscious, they will lose their balls, as well as lose their strokes in the scorecard. The green is covered by Bermuda TifEagle grass which is smooth as velvet. According to our understanding, this grass ensures technical standards and beauty, as well as has biological characteristics in accordance with the climate of the South. Although its shape is not very unique, the green of West Lakes makes enough difficult for golfers due to its slope, rolling direction ... and its slicked run-off area which makes balls run out of control. 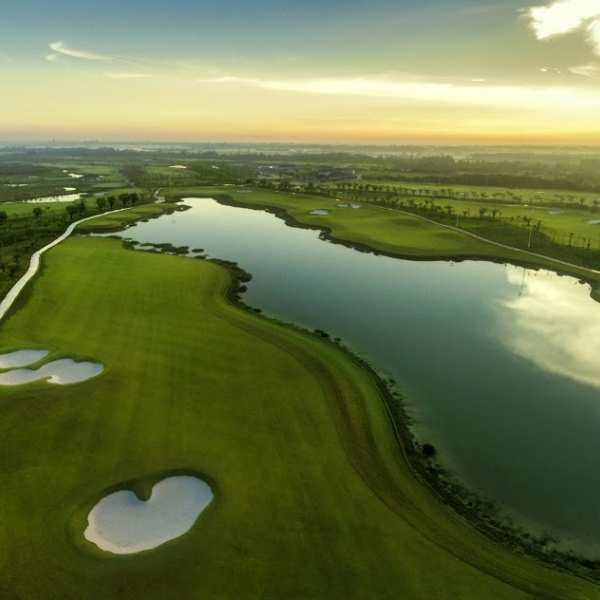 “The golf course is a serious challenge for all levels of golfers, with incredible strategic bunker placements, fantastic turf grass and a lot of beautiful lakes being the main features”, said Anthony Sinclair, General Manager of West Lakes Golf & Villas. Hole 1, par 4, 395 yards from blue tee: This is a relatively difficult start because of bunkers and water hazards on both sides. If the tee shot reach more than 250 yards straight, targeting 2 bunkers on the right of the fairway, players could reach a wide landing area and then hit the green from a distance of some 135 yards. There are other options, but when the ball is well placed and has favorable position, players will enjoy a stress-free start. Hole 7, par 5, some 573 yards from blue tee: This is a long hole that needs patience. Troubles are waiting around. Players needs to hit the ball accurately to avoid bunkers on both side of the fairway, before playing second shot to cross a water hazard. In addition, the approach shot needs to be accurate to land on relatively small green. up to that level, at West Lakes, players should play the ball fairly from the tee to avoid the slick run-off area at the back of the green. Hole 13, par 4, about 352 yards from blue tee: Looking from the tee box, this hole is “photogenic.” There are two lakes in front of the fairway, almost encroaching on the cart path. 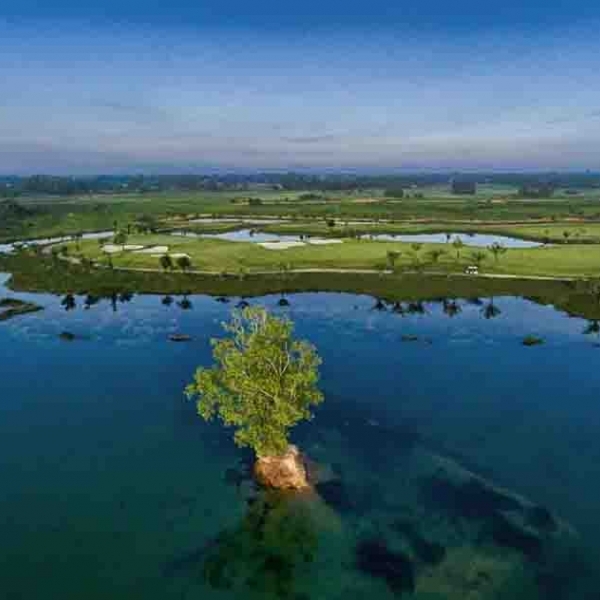 At the other end of the fairway, there is another lake which cuts across, leaving only a small area to land the ball in front of the green which has five bunkers surrounded on either side. Dealing with this challenge, players needs to choose the right club at his/her own ability. Hole 17, par 3, 162 yard from blue tee: Players should drive the ball across the lake to reach the high uphill target. The front to back sloping green makes it trickier than it looks. Therefore, the tee shot should not be too long to avoid the run-off areas behind the green. Currently, West Lakes Golf & Villas has had an 18-hole course with indispensable facilities and will add more 9 holes in the near future. According to its plan, International Investment Corporation CSQ – the main investor, will deploy villas and residential areas in 2019. 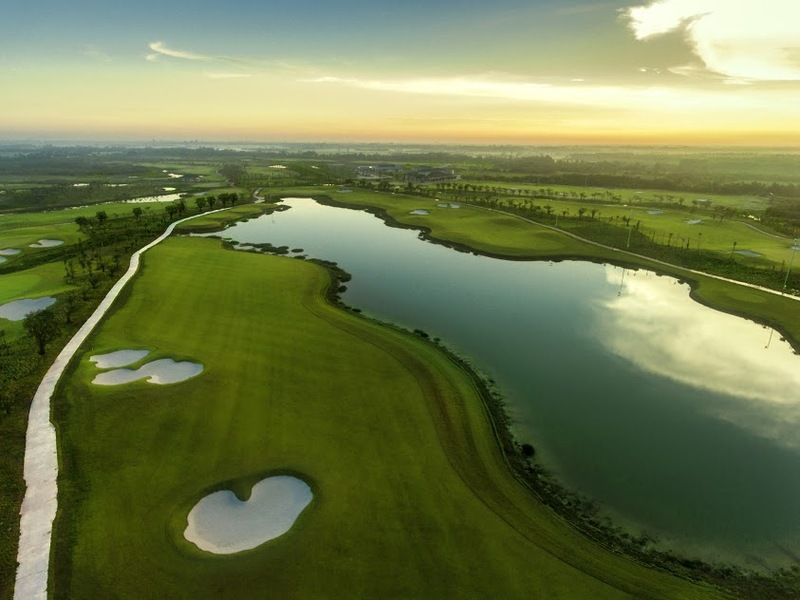 Once completed, West Lakes Golf & Villas is expected to be the most famous golf and resort destination in the South, contributing to further development of the country’s golf- tourism industry.